All sporting events must be played on the date and site scheduled unless otherwise specified.Sporting events postponed by more than 12 hours or rescheduled will constitute no action. 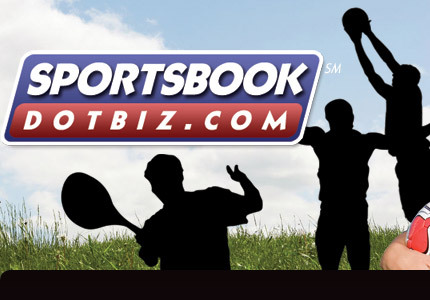 For betting purposes, the winner of an event will be determined on the date of the event's conclusion.Sportsbooks do not recognize suspended games, protests, scoring amendments, result reversals or overturned decisions. NHL -- At least 55 minutes of play is needed for bet to have action.Overtime counts. Baseball bets are accepted as listed.In the event of a pitcher change prior to the listed pitchers throwing at least one pitch, all bets that specified listed pitchers are usually considered no action. All baseball games that go at least the regulation 9 innings and still finish tied as a result of a suspension of play shall be graded a push on all money line bets.All run line and total bets will have action. When placing a bet on the outright winner of a race, the driver bet on must start the race for the bet to have action.Both drivers in a match-up bet must start the race for the bet to have action. For betting purposes, a round is considered a full round only when the bell sounds signifying the end of said round.The official stopping of a round before the sounding of the bell does not constitute a full round. For match-up betting all of the players listed in the match-up bet offer must tee-off for the bet to have action.The player with the most completed holes wins. All football bets will be settled on 90 minutes play.This includes any time added by the referee in respect to injuries and other stoppages.Extra Time, Golden Goals and Penalty Shoot-Outs do not count. To place and win a bet, the bettor must correctly predict the result of at least one game, indicating if the game will be a home win, a tie or an away win.To win a parlay bet, each of the selections must be correct. In case of a tie, only bets placed on the tie will be winning bets.All other bets will be losing bets. be legal in your jurisdiction. Do NOT gamble online unless you have verified that it is legal for you to do so.